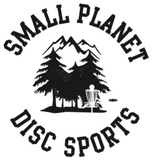 You should expect to receive your refund within four weeks of Small Planet Disc Sports receiving the returned items, however in many cases you will receive a refund more quickly. This time period includes the transit time for us to receive your return from the courier (5 to 10 business days), the time it takes us to process your return once we receive it (3 to 5 business days), and the time it takes your bank to process our refund request (5 to 10 business days). For the moment we ship only to New Zealand addresses. Most orders within New Zealand are shipped by either Post Haste, Fastways (residential, business and rural addresses) or New Zealand Post (PO. Box addresses). We can ship to virtually any address in New Zealand for a fee of $7.50* for South Island residential addresses, $9.50* for North Island residential addresses and $11 for PO. Box (postal-only) addresses. * Extra $5.50 for rural. All South Island orders over $79. All North Island orders over $89. All PO. Box orders over $89. All South Island orders over $79 will be shipped for $5.5 (instead of $13) or free for orders over $109. All North Island orders over $89 will be shipped for $5.5 (instead of $15) or free for orders over $119. All PO. Box orders over $89 will be shipped for $5.5 (instead of $16.50) or free for orders over $119. We usually Ship in 1 to 2 Business Days and you should receive your items within 3-5 business day.